An Indian wedding is known for its lavishness, vibrant and enjoyable atmosphere. They have always been special occasions celebrated with excellent passion, warmth and spirit. Rich colours, ornate jewellery, attractive henna styles and fancy decor mirror a real Indian wedding celebration. In Indian culture, colour plays a big part in identifying the style and ultimate tone of the ceremony thereby determining the feel and look of an Indian wedding. For Indians the symbolism of colour stands out in every aspect of life, be it a religion, either festivals or celebrations. Red, gold, orange, burgundy, pink and green and are some popular colours that make the wedding most colourful and genuine. Among all the colours, red is the most popular choice for brides because it brings good luck and happiness to the marrying couple. Indian cultures always have a variety of colours that are particular to their regions. North weddings have red, pink, orange, green and yellow colour in their weddings while the south wedding has white and gold. These traditions get transported to the UK, USA, Canada – in fact where ever in the world the family are now settled and now call home. These days, many brides are picking a mix of traditional and contemporary styles when it pertains to their wedding celebrations. So, no Indian wedding event is ever complete without sophisticated decor and colourful vibrant accessories. 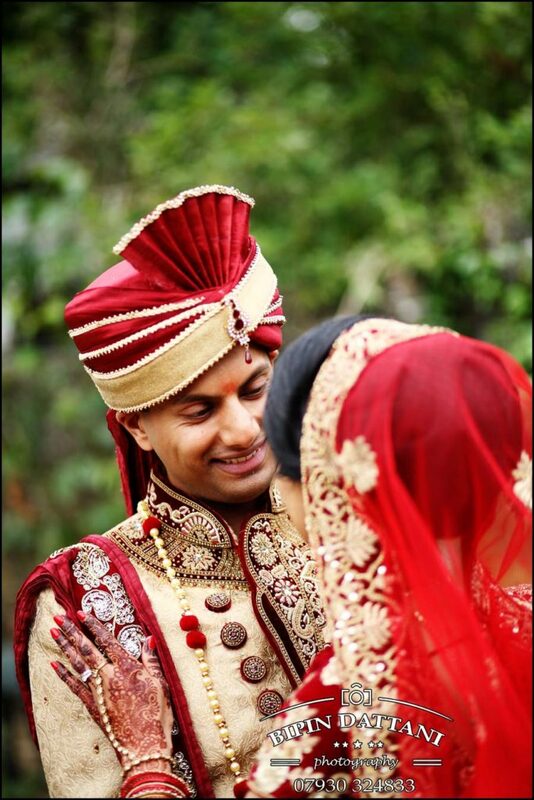 Bride & Groom attire – Every Indian community ( Gujarati, Lohana, Jain, Punjabi, Tamil, Hindu ) has its own special style of dress for the wedding couple that is worn throughout the ceremony. North Indian brides choose red, pink or a cream-coloured dress emphasised with gold while the South brides choose white sari embroidered in gold or a red border. Traditionally, grooms wear trousers with a long designer jacket – Indian Sherwani suit. The one element that they all have in common is the multicoloured turban which they wear in different styles. Gorgeous and extensive jewellery – Indian bridal jewellery is always sophisticated, colourful and heavy usually made of gold. 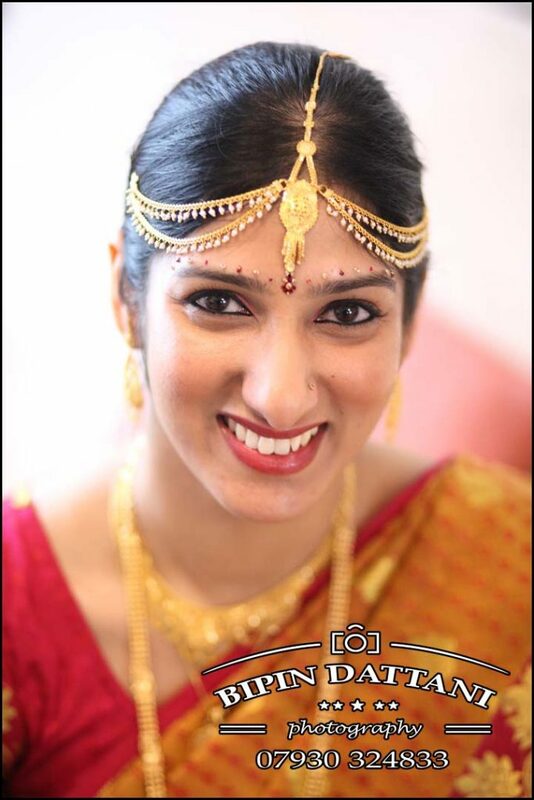 The attire of an Indian bride is never complete without the wedding jewellery that includes necklaces, bangles, brooches, rings, pendant, earrings and hair ornament. Wedding Invites – The first element of a colourful wedding is the wedding invitation. The beautiful Indian wedding invitations are of multiple colours that are enriched with rich designs and impressive textures. They exhibit the true colours of Hindu religion. All invitations accentuate and give prominence to Ganesha, the Hindu god, with a delightful small icon placed in the inner invitation. Elaborate Decoration – Indian wedding ceremonies always take place on a wedding stage / mandap under a canopy where the bride and groom take their seven sacred steps together in front of their families. This stage or mandap is hired for the wedding day, erected by specialist companies in the morning and removed after all the last wedding ceremony Vidai on the day is complete. They come in various sizes, four pillars or 6 pillars, either in white or gold and are generally decorated with bright flowers. However the jain community prefer the mandap to be made of natural wood. So, whatever the situation, you will absolutely see dynamic vibrant colours at an Indian wedding celebration. A wedding is one of the most special days of your life, full of magical moments you’ll want to remember forever. Your pictures will serve as a precious reminder of colourful and authentic Indian Wedding, even in London UK.